According to documents filed with the Trademark Trial and Appeal Board, [company]Apple[/company] claims the examiner made a mistake in concluding that the company is not using the Siri mark (shown at right) as part of a social networking business. It’s not clear if the trademark application means that Apple considers Siri’s role within social networks as an area of strategic importance or, instead, whether Apple’s notoriously aggressive legal team is simply appealing the trademark decision as a matter of course. Apple, which rarely speaks publicly on legal matters, did not reply to a request for comment. 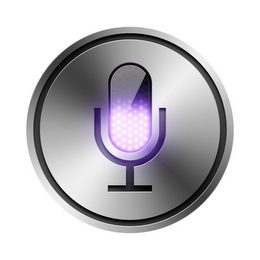 Trademark Office records show that Apple successfully applied for a series of trademarks related to the word “Siri” in January of 2012. The company first applied to the trademark related to social networks in March of 2012, and received the rejection earlier this year. Unless the definition of social network has changed, I do not understand how Siri can be a social network. As a personal assistant, Siri is just a variation of a keyboard, mouse, or microphone: an instrument to change one mode of action to another. Siri can be used for search and other things unrelated to social networking. Just because I can use my webcam on a social network does not make any part of my webcam a social network. I have a feeling that Apple attempting an underhanded move, but I can’t put a finger on it. Good job by the Trademark office on this one.